Starting this week, a new policy is being rolled out across Walt Disney World Resort hotels regarding "Do Not Disturb" signs and room checks by housekeeping staff. This new policy requires housekeeping to enter a room once per day. 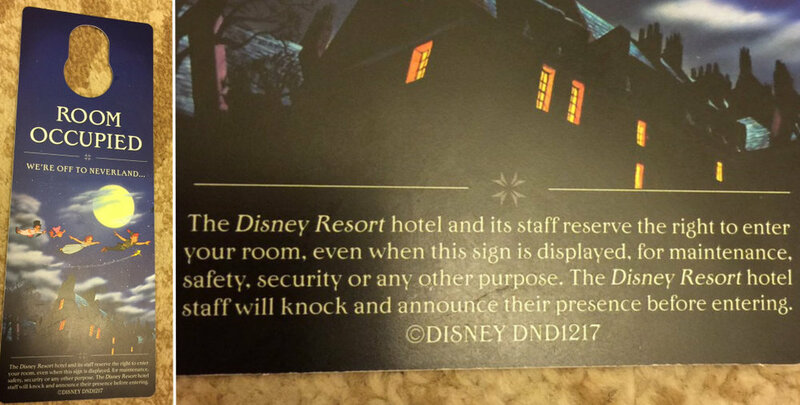 Also, "Do Not Disturb" signs will be replaced with "Room Occupied" signs. This comes in the wake of the Las Vegas massacre where the gunman displayed a "Do Not Disturb" sign on his hotel room door for several days as he prepared for the shooting. This policy is currently being introduced at the Magic Kingdom Area resort hotels first. Personally, I seldom had a "Do Not Disturb" sign in my room, or if I did display it on my door, some other guest would inevitably take it as a souvenir. The problem is, these new "Room Occupied" signs will make even better souvenirs.